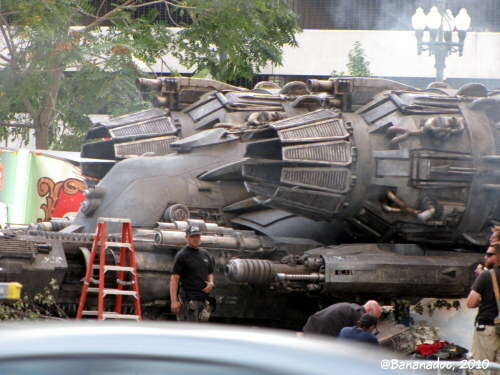 It’s really hard to express how very cool it was to see the Transformers 3 filming in Detroit. Several blocks of the city were closed and the set was huge. Although production has moved to Florida, I heard a rumor (unconfirmed) that the set is still in place at the old Packard Plant with the crashed Amtrack train etc. I’m not going down there again after my last experience! I’ll post some more TF3 pictures over the next few days. #TF3 It’s important to know when to move on. It’s time. Scream 4 has left town and The Transformers have moved in, baby! I finally gave in to the urge to travel to downtown Detroit last night and see those suckers, and I wasn’t disappointed. Big alien machines, cool cars, explosions, cranky security guards. What’s not to love? More to come. P.S. Actually crew and security were pretty cool and we were allowed to see everything that was going on AND take pictures. Scream 4 is so last week. P.P.S. Just kidding. I still love Scream 4. Post-apocalyptic devastation on Scream 4 set? Just kidding. 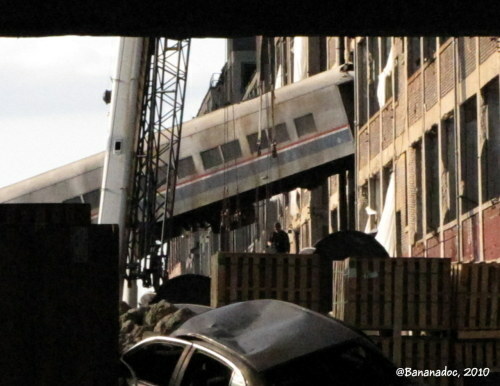 This is the set of Transformers 3, currently filming at the abandoned Packard Plant in Detroit. 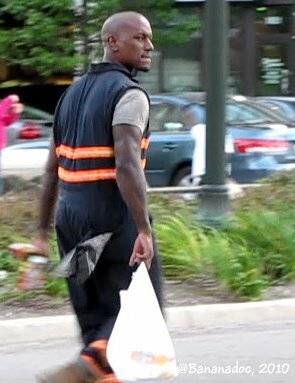 The problem with filming in Detroit is that it’s hard to know what’s movie set and what’s just your average, every-day post apocalyptic scenery.